I am so excited that the time has arrived! I have travelled to Vancouver to attend the one week workshop July 6-10th with guest artist Fuensanta “La Moneta”, hosted by Flamenco Rosario in Vancouver BC. It is a treat to have such an amazing artist who has been immersed in the culture and development of Flamenco for over 20 years. It is a thrill to become the student for a week and bring home to my students all that I will learn. Fuensanta “La Moneta” began her career as a child of 10 in the tablaos in Sacromo nte of Granada, Spain. From here she has developed an amazing career, dancing and teaching over half of the world. Her awards, to name a few, began with a first prize in the Dancing Festival de Cante de Las Minas de La Union in 2003. As a creative young artist she has produced many pieces and is renowned for her drama and compas. She has performed in the best festivals in Spain and worldwide, including the Bienal de Flamenco de Sevilla 2012 and the Jerez Flamenco Festival 2015. 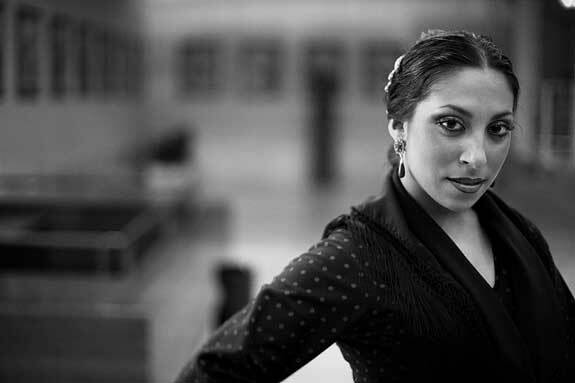 La Moneta is pushing the future of the art of Flamenco. She is contemporary without losing the roots and essence of the dance. “Flamenco is a living art in constant renewal,” says La Moneta. 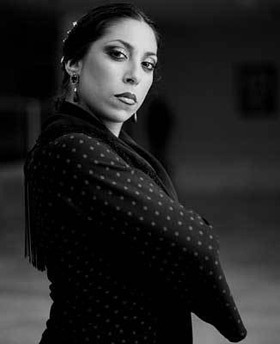 “I preserve the past and the foundation but look forward to the development of Flamenco.” She spreads the joy for Flamenco with her workshops, one of which I am so delighted to participate in! So stay posted for pictures and another blog post about my amazing week! I have my Flamenco shoes and am ready to dance! Time for the teacher to learn.